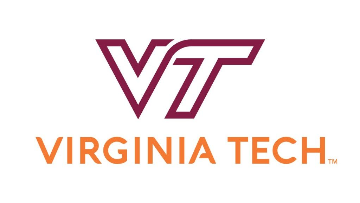 The Virginia Tech Honors College (http://www.honorscollege.vt.edu) is developing the Calhoun Honors Discovery program: a signature program on collaborative transdisciplinary learning focused on technology innovation for societal impact. The program was established by a founding gift from David Calhoun. The program also leverages significant industry support and participation. Reporting to the Honors College Dean and coordinating with Technology-enhanced Learning and Online Strategies (TLOS) Innovation and Outreach Group, the Calhoun Discovery Program Technical Director will be responsible for the configuration and management of a new collaborative studio and lab space for faculty and student teams working within the Virginia Tech Honors College. The successful candidate could come from a broad range of disciplinary backgrounds, but must have a willingness to embrace the complexity of a new initiative spanning multiple programs, departments, and colleges, as well as a dedication to the goals of the Calhoun Discovery Program, the mission of the Honors College, and Virginia Tech’s Ut Prosim ethic. The physical and technical configuration of this studio space needs to be tightly coordinated with a distributed collaboration and learning platform being developed by the Discovery faculty in partnership with TLOS. The Technical Director will work closely with Honors College faculty and staff to ensure alignment between coursework, extracurricular activities, and the ecosystem of technologies required to support both. •Advanced degree or Bachelor’s degree, plus significant experience working in a technical field. •Expertise in at least two of the following technical subjects: desktop fabrication and prototyping, computer programming, online learning technologies, web development. •Demonstrated ability to interact professionally with clients and stakeholders. •Demonstrated ability to manage multiple and competing priorities in a dynamic environment. •Advanced degree, ideally in a field related to information technology, collaborative design, or education. •Broad knowledge of technology-enhanced learning environments, tools, services, and pedagogues in use in higher education. •Experience working with university faculty to develop educational materials. •Experience working in a maker-space or studio environment.